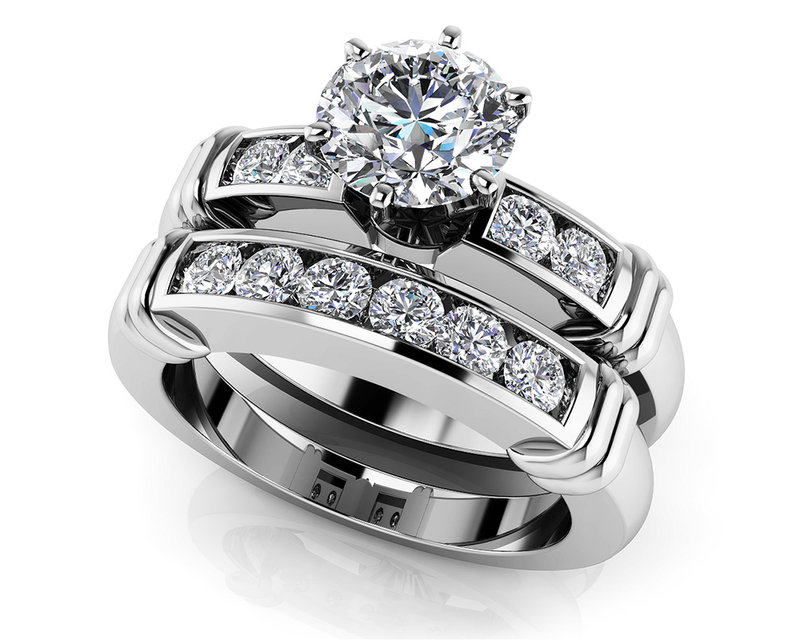 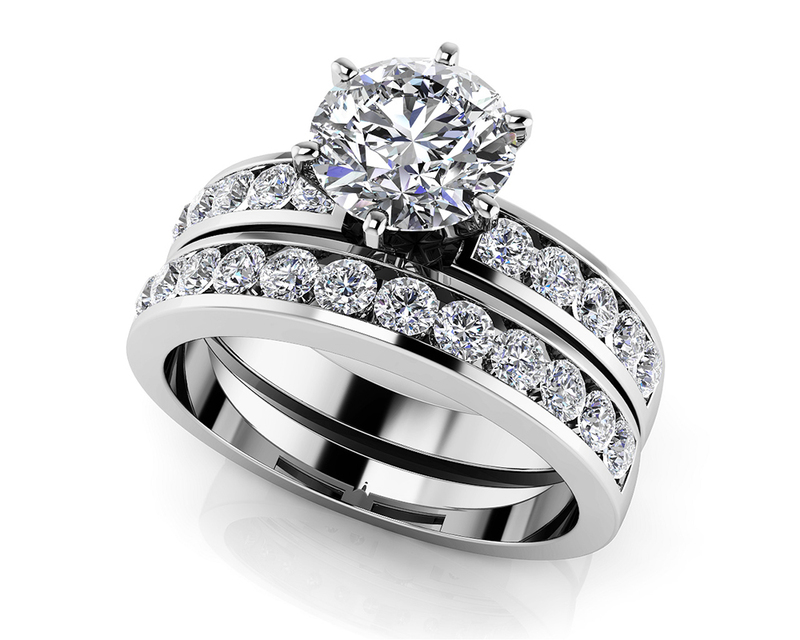 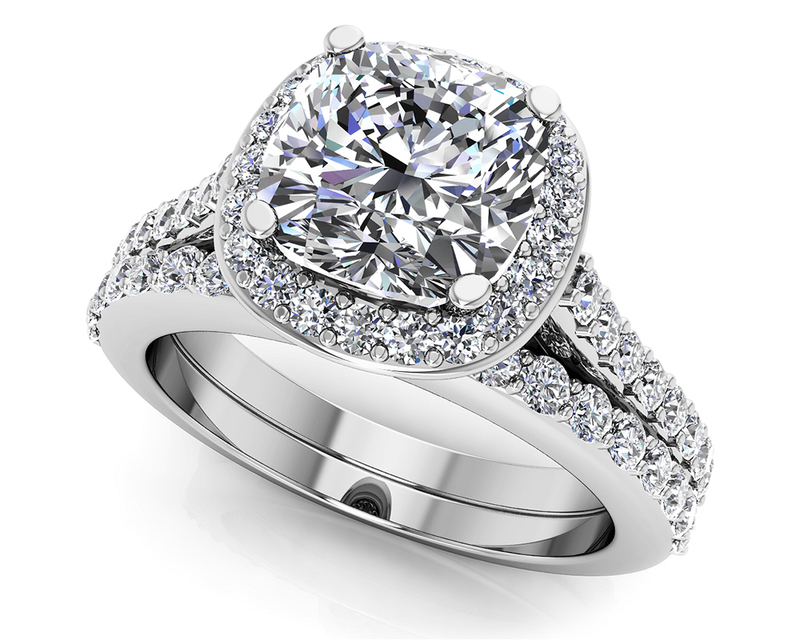 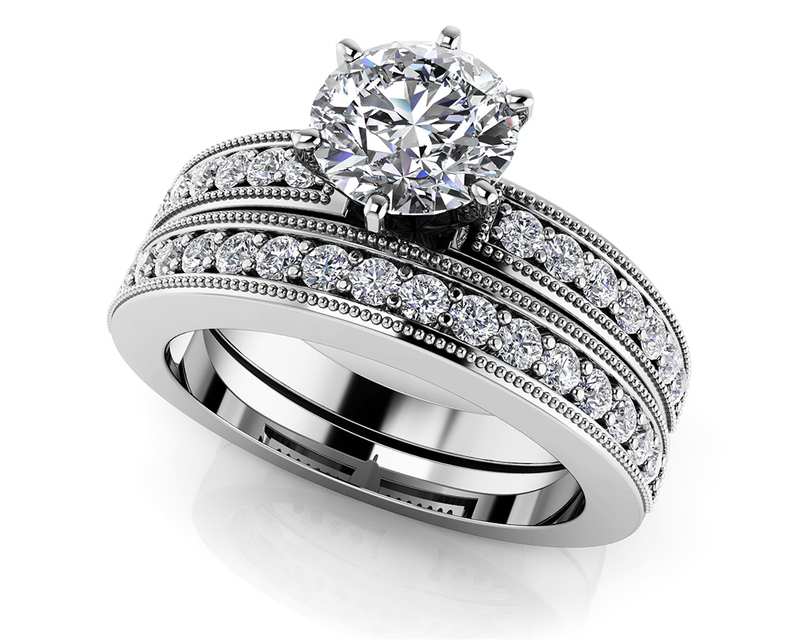 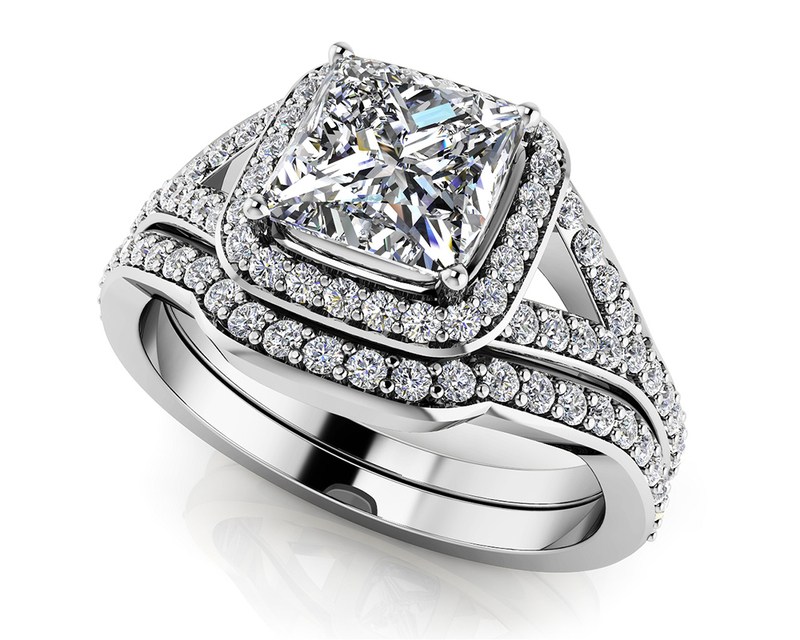 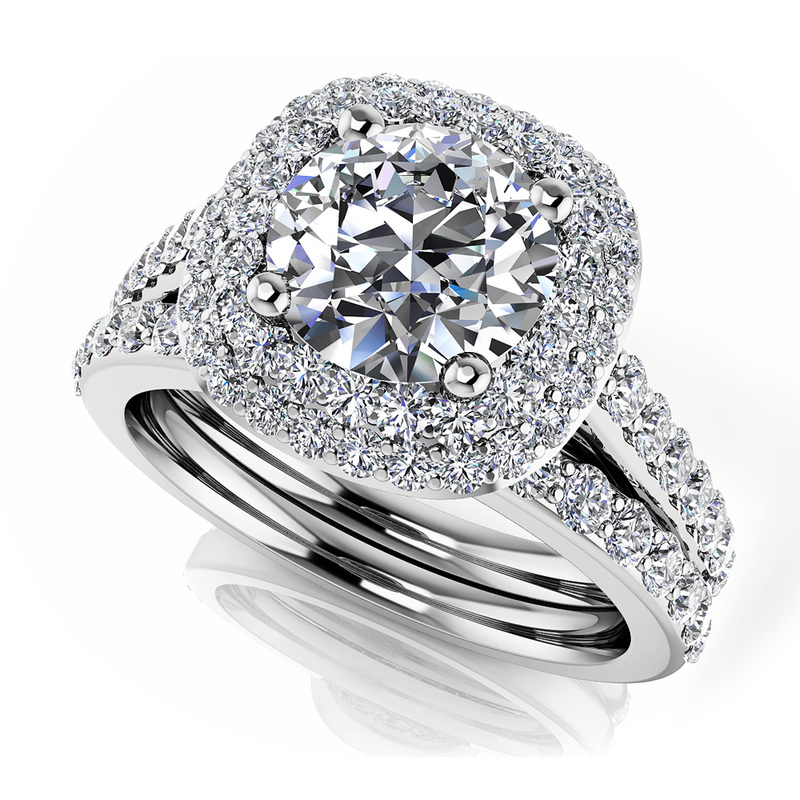 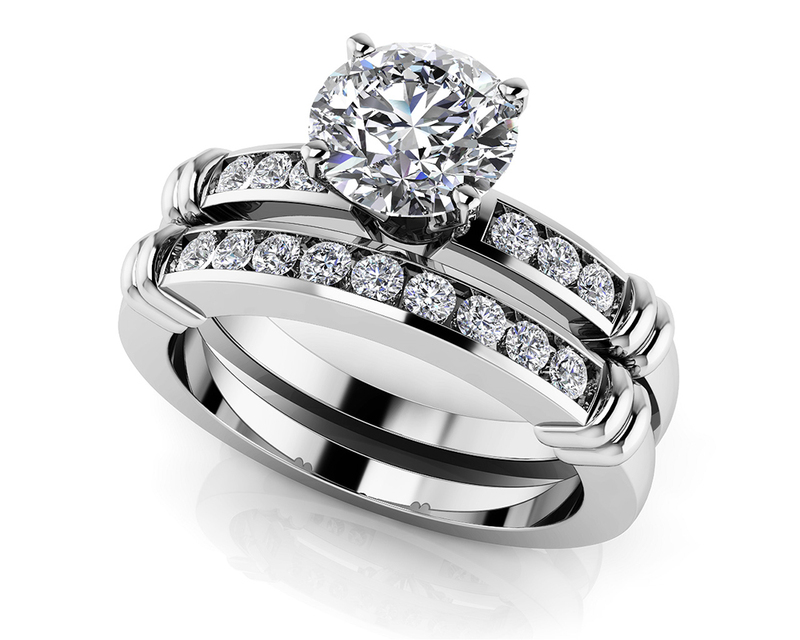 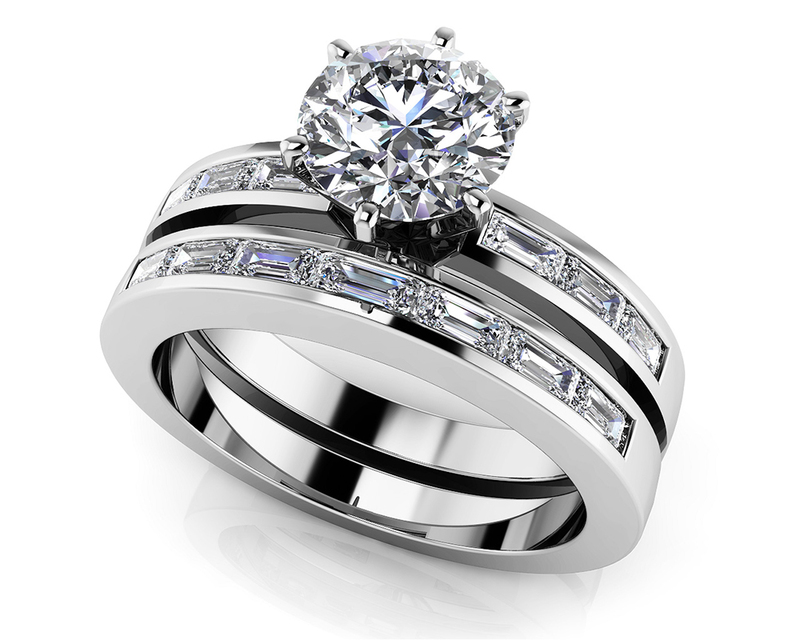 "This spectacular ring will shine bright with elegant sparkle. 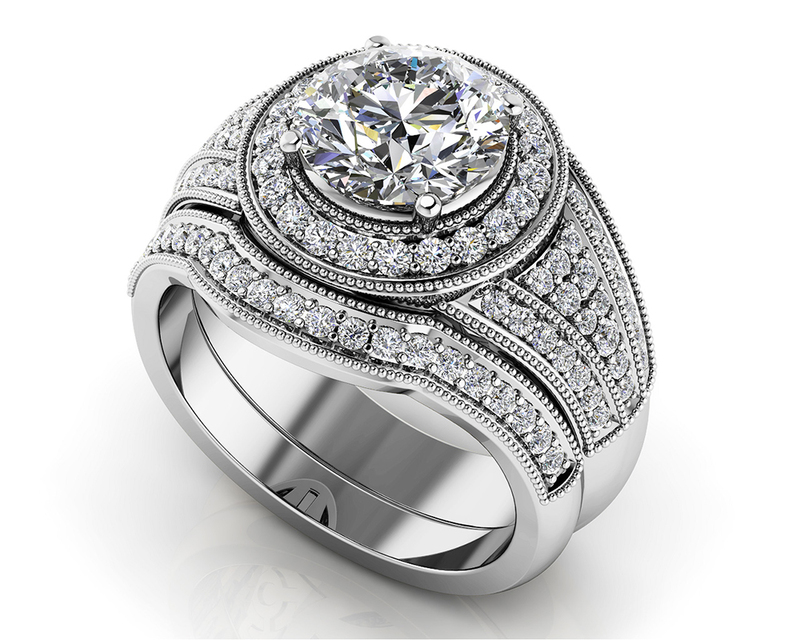 A brilliant round diamond is surrounded by a double cushion shaped halo of more diamonds, which continue along both bands. 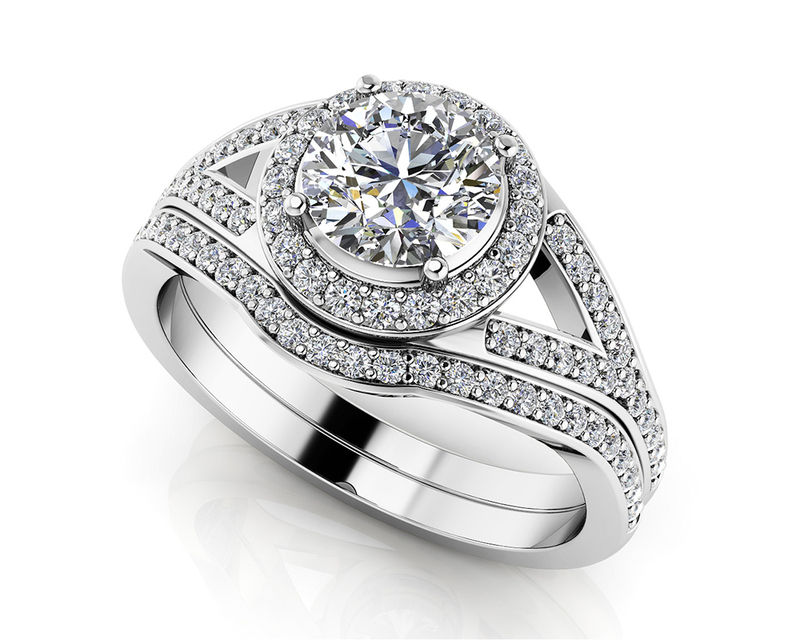 Start your journey today and design your perfect set."